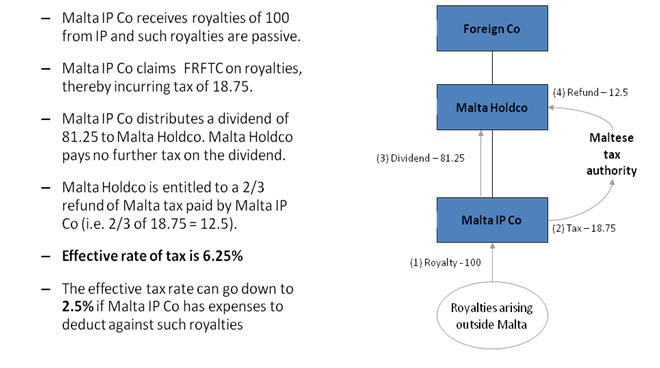 Applies on royalties derived from patents in respect of inventions. 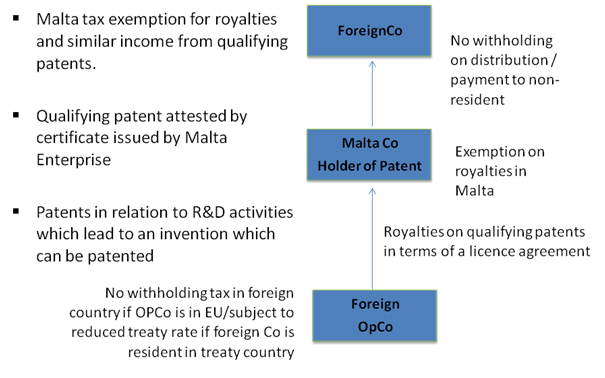 The IP must be the result of research and development activities that may have been performed anywhere in the world, leading to an invention which has then been patented anywhere in the world. 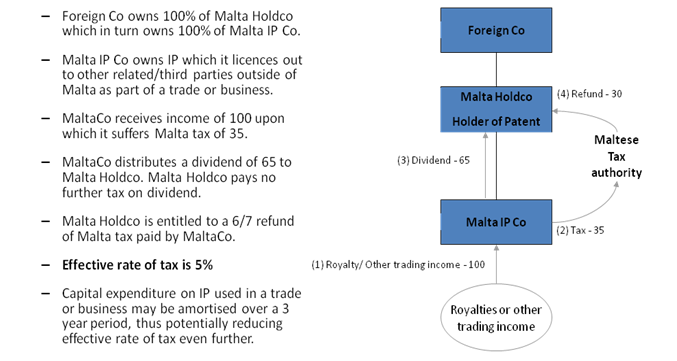 No exit taxes – possibilities to transfer residence or domicile outside Malta without triggering Malta tax.